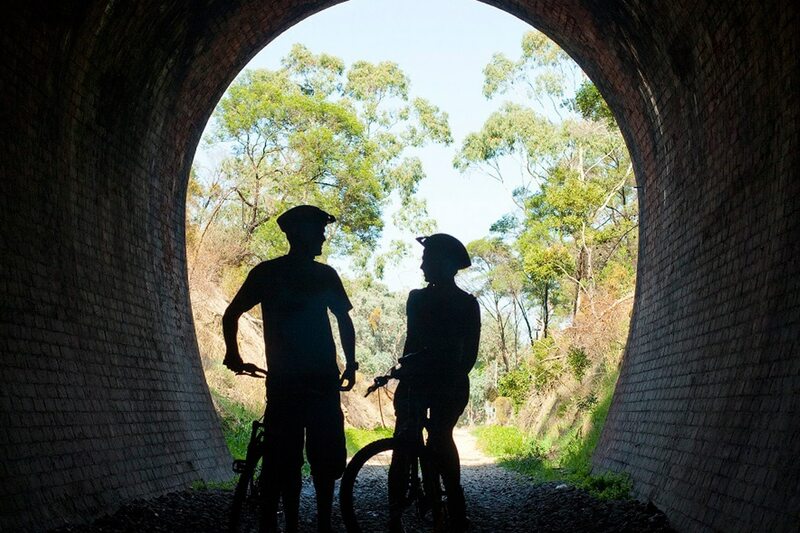 Ride Australia’s longest continuous rail trail, covering 134 kms from Tallarook to Mansfield. 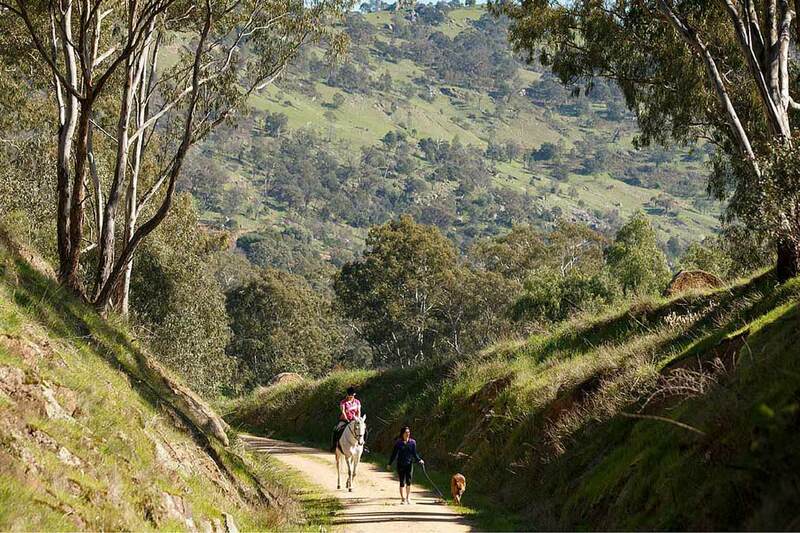 The Great Victorian Rail Trail winds its way between the country towns of Mansfield and Tallarook. Hugging the Goulburn River, the trail takes you through unique country towns and villages, over the majestic Lake Eildon and past some spectacular High Country mountain scenery, rich farmland brimming with birdlife and the magnificent stands of ancient red gums. Take a spin through the historic 201m long Cheviot Tunnel and explore the old Alexandra Station with its Timber Tramway and Museum. Don't miss the stunning scenery of the Trawool Valley. Rolling hills, green fields and the Goulburn River flowing along the valley floor makes this part of the Great Victorian Rail Trail a must. 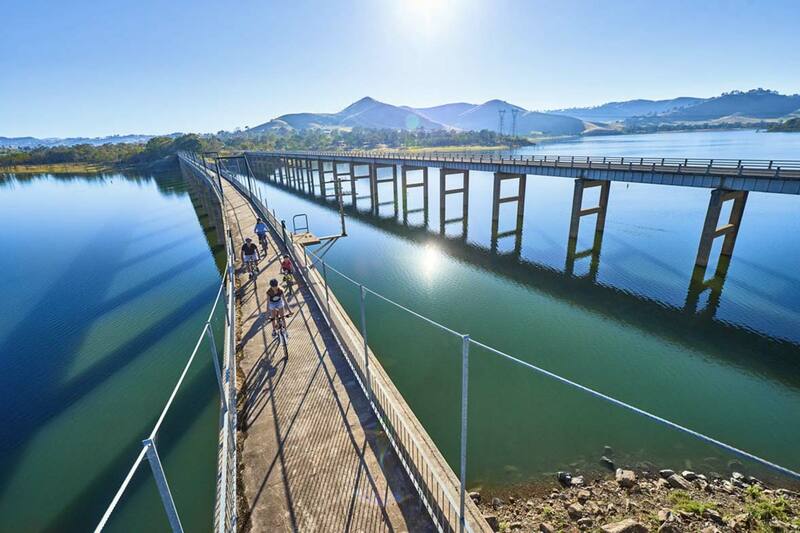 The Great Victorian Rail Trail boasts almost 50 water crossings as it follows the Goulburn River and traverses a glimmering Lake Eildon over the Bonnie Doon Bridge. Pack a picnic or a rod and while away a relaxing afternoon by the shores of the lake. 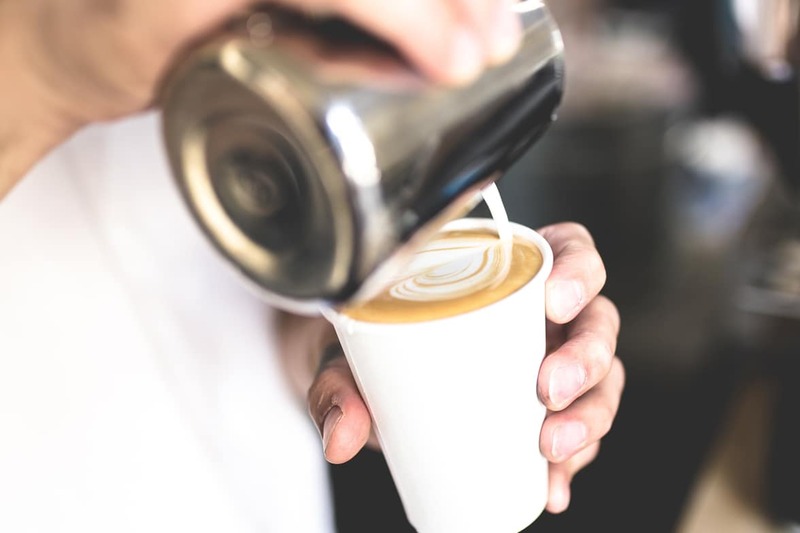 The Mansfield foodie culture rivals the big cities, boasting artisan coffee roasters, a craft brewery, hand made ice creams and estate grown wines to name a handful. Before you hit the trailhead in Mansfield, fortify your picnic with some of these tasty local treats.